The rest of this is at [ Night Mode Reading ]: The story is, of course, the same as the movie. Sarah, annoyed by her life, loses the last of her patience with her half brother Toby when he won’t stop crying one night. She thus wishes for goblins to take him away, right now. Doing so she invokes some sort of magical binding, for Goblins, somewhere beyond the membrane of fantasy and reality, do wake, and do come for the baby. Goblin King is fantastic. I dare say if Lestat was an evil Disney prince, he’d be Goblin King, no doubt. Sarah’s adventures are perfectly paced, and while I’m sure not everyone will like it: I did, and that’s all that matters. I give the book 5 out of 5 and will absolutely watch the movie again, with new eyes, so to say. The year, book-wise, has started great indeed! 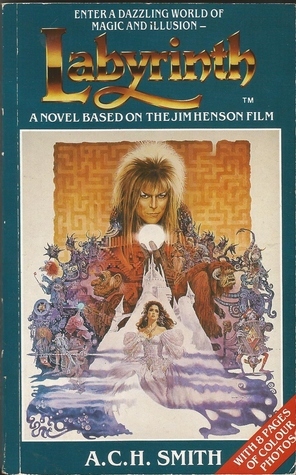 Sign into Goodreads to see if any of your friends have read Labyrinth.